Hi, I’m Stacy. I moved to Hobart at the start of 2012 to study a Master of Antarctic Science at the Institute for Marine and Antarctic Studies, University of Tasmania. I enjoyed it so much that I decided to to keep studying. 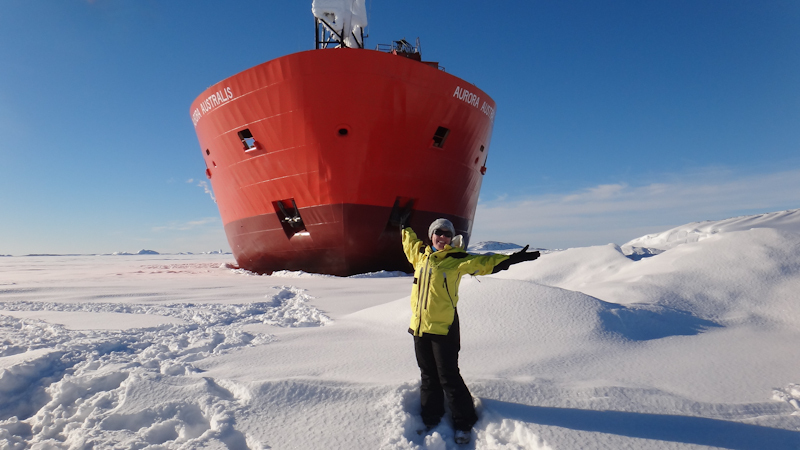 I found a project with the Australian Antarctic Division and enrolled in a PhD and now I get to spend 5 months in Antarctica doing something that I love! I will be based at Davis Station and will be working on project investigating the effects of climate change on marine microbes (phytoplankton and bacteria). I’m keeping this blog in order to keep in touch with my family and friends and hopefully show people a little of the beauty of Antarctica and why studying climate change down there is so important. So enjoy the adventure!